1949. Terry “Geezer” Butler (Black Sabbath) born in Birmingham, England. 1998. Convicted murderess Pamela Keary escapes from prison in Minneapolis, telling fellow inmates she’s going to see The Smashing Pumpkins who are playing the city this evening. Police arrest the 17 year old at the gig. 1966. A Munich court rules that The Rolling Stones do make music and not just noise. The city authorities had hoped that the court would find against the group and they could claim back £ 1,270 tax relief for “musical performances” on the group’s concerts at Circus-Krone-Bau on September 14th last year. 1985. Mr Barney Hayhoe, Minister Of State in the British Government, announces that the £ 190,000 in V.A.T., paid on tickets for Live Aid, will be waived. The tickets had not made it clear that the fee was voluntary and therefore would be excluded from the tax. 1976. Disco (ZDF, West Germany) 60. Silver Convention; Jürgen Drews; Rubettes; Bob Dylan (video clip); Peter Maffay; Martin Mann; Vicky Leandros; Smokie. 1996. Chas Chandler (born Bryan James Chandler), member of The Animals, the man who “discovered” Jimi Hendrix and manager of Slade dies in hospital while undergoing tests for a heart aneurysm, aged 57. 1943. Johnny Hallyday born Jean-Phillipe Smets in Paris, France. 1989. Rick Parfitt (Status Quo) has to be rescued from his boat in the English Channel after it runs out of fuel and drifts for two hours. 1995. Snoop Doggy Dogg appears at a pre-trial hearing in Los Angeles. His lawyers ask Judge Paul Flynn to dismiss the murder charges against the rapper after the prosecution admit that key items of evidence have been accidentally destroyed by a police officer. The judge tells the defence the trial will go ahead and the prosecution will have to explain to a jury why the evidence was destroyed. As yet no date has been set for the trial. 1987. 30 hired hands move 800 rented National Health Service beds onto Saunton Sands in North Devon for Storm Thorgerson to shoot the cover of Pink Floyd‘s next album, “A Momentary Lapse Of Reason”. He had tried in Los Angeles but hadn’t been able to get the type of beds he wanted. 1973. The Midnight Special, (NBC, U.S.A.) 21. Host: Jim Croce. Guests: Little Anthony and the Imperials; Savoy Brown; Barbara Fairchild; Shawn Phillips; Wishbone Ash; Bobby Womack. Here’s the wonderful Jim Croce with, “I Got A Name”. 1968. Guitarist Wes Mongomery dies of a heart attack in Indianapolis, Indiana. Well, I’ve missed the blogs for the last two days. I was up in Elgin on Friday morning and never had the time to get online. Blame a dodgy connection! How anyone manages with BT HomeHub amazes me. I was sitting looking at a dead Safari window for ages. Anyway, I’m ranting again. I left there at lunchtime to drive down to perth and then on to Peebles in the Scottish borders. It’s becoming a bit of a habit. I was down there last year for “An Audience With Bill Wyman” and this time I was heading there for Bob Dylan. Yes, Peebles! Sleepy border town and Bob Dylan. I kid you not. 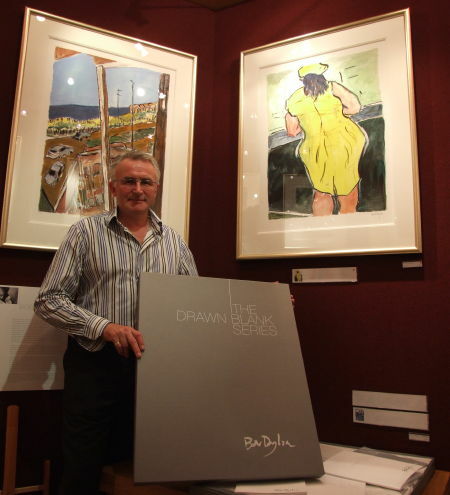 The event was a private view for “The Drawn Blank Series” at one of only two galleries in Scotland taking part in the release of the limited edition collections of Dylan’s work. 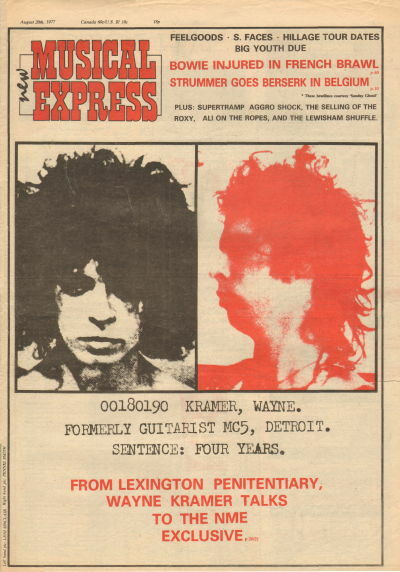 The art was originally created while Dylan was undertaking the “Never Ending Tour” of 1989 – 1992. Breeze Gallery in Peebles pulled out all the stops with a champagne reception to launch the exhibition and it paid off for them. The atmosphere was easy and relaxed, with those attending chatting about the artwork on show and the life of Bob himself. Not long after the start, an array of red dots started to appear next to the framed and glazed pieces which added to the excitement. By the time I left, most of the items on the walls had been sold. There were also portfolio sets of images that seemed to be drawing a lot of interest but with the complete boxed collection selling for £ 33,900 I’d be surprised if that went on the preview night. The gallery’s owner, Bob Corsie, pictured here, put on a great show and did his utmost to make everyone feel welcome and fully informed. Another great evening in Peebles and a triumph for the Gallery. Well done!